Federal buildings in Gatineau will reopen on Wednesday. 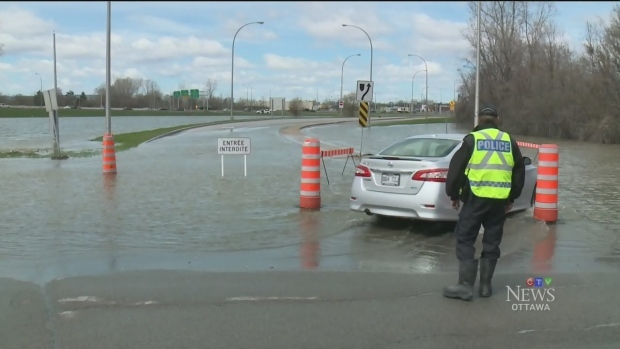 Federal government workers will be able to return to their offices in Gatineau on Wednesday, after widespread flooding closed them for two days. In a statement Tuesday afternoon, the Treasury Board Secretariat said operations for federal buildings will return to normal on Wednesday. "Government buildings will be open, and employees are expected to return to work. The statement said employees are encouraged to check local road condirions on the Quebec Transport and Ontario Transport websites. They also suggest using public transit to minimize congestion on roadways.